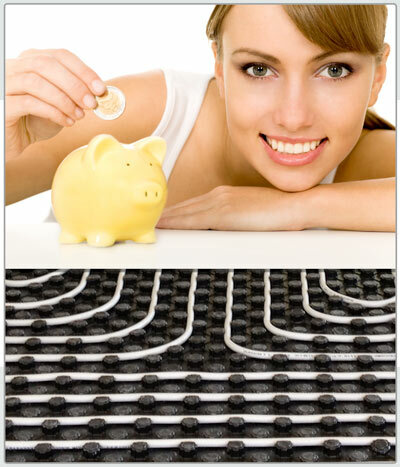 The radiant panel systems for heating and cooling combine a high level of comfort to a significant energy savings. The radiating elements, consisting of pipes in material resistant to high temperatures and to treading, are placed under the floor, the wall, the ceiling, depending on the specific needs. 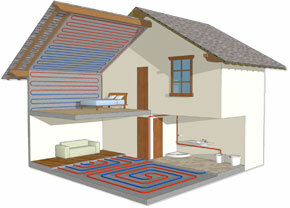 In addition to being a very good heating system for the winter, the radiant system is the solution for summer cooling. With a single system can be air-conditioned in all seasons (hot and cold). The heat pump thus becomes the only machine necessary, with an interesting savings compared to traditional systems. In an air-conditioned environment with the radiant system the feeling of well being that you feel is immediate, the temperature is pleasant in both cooling and heating thanks to the natural principle of radiation. The humidity is adjusted to ideal levels for the human body through the dehumidifier. The radiant systems operate with water at low temperature (-25 40 ° C) and are therefore ideal for integration with heat pumps, Condensing boilers, biomass generators and with any technology that takes advantage of renewable energy sources. The efficiency of a heat pump improves the 25% if combined with a radiating system compared to a system with fan coils, both in heating and in cooling. All components interact perfectly with each other and are operated easily and intuitively from a distance. 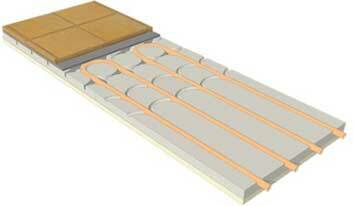 Radiant efficient systems for heating and cooling floor. installation quick and easy installation. Radiant efficient systems for heating and chilled ceilings. For each type of wall. 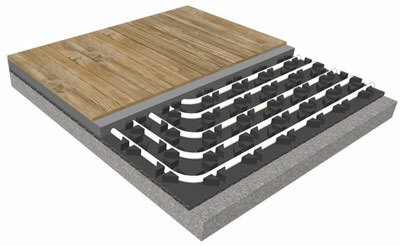 The radiant system, operates at low temperatures in a short time and goes to scheme, this provides a significant energy savings compared to other systems. Combining the radiant temperature control systems systems that regulate the flow automatically to the system according external temperature, the best performance in terms of comfort and savings is always guaranteed. In radiant systems, in addition, the heat dissipation is much lower, thanks to a better insulation of the bearing elements. The energy savings that can be achieved by a system of floor heating, Ranges from a 8% up to a 30%. 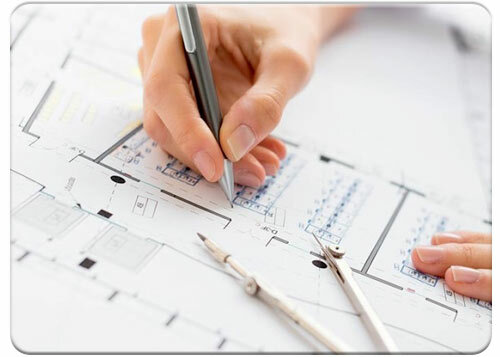 Each element of which is composed of the radiant system Rossato Group is carefully designed, studied and tested by our technicians to ensure a long life of the plant, without the need for maintenance interventions. more even temperature, increased use of living space without heating elements, no dust movements, aesthetics unaltered etc. 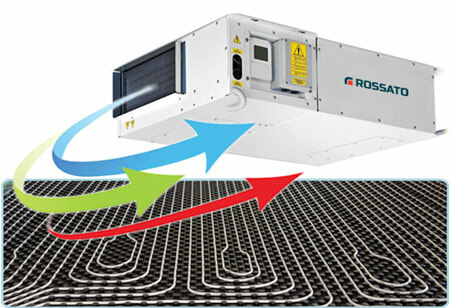 The radiant systems, as well as heating are also used in summer with cooling function. 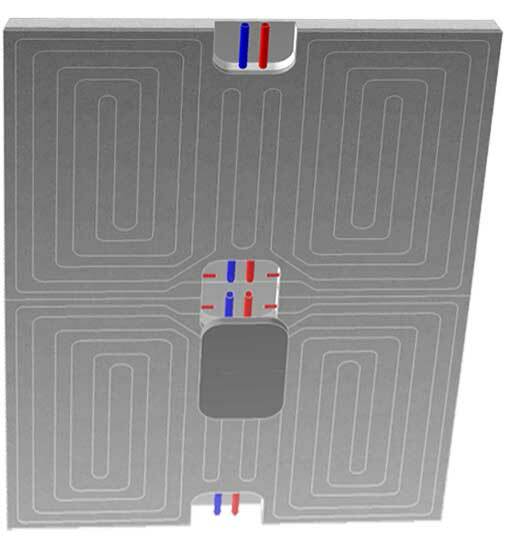 Then you can use the radiating system for heating and cooling with the same pipe. In this case the heat pump It would become the only machine, with obvious savings over conventional air conditioners. 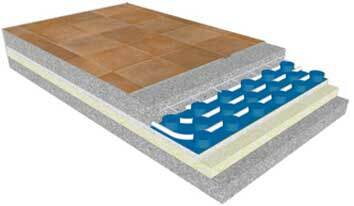 The heating and cooling function in radiant systems enables excellent system payback. 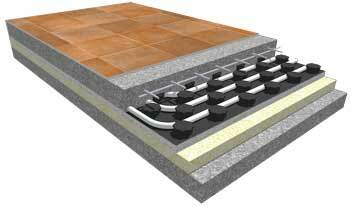 Studies show that the energy savings that can be achieved by a radiant system, ranging from a 8% up to 30%. 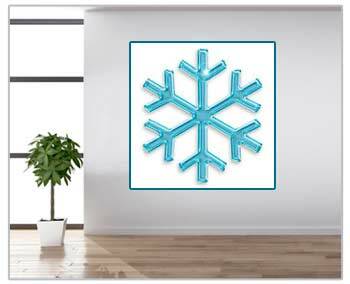 The efficiency of the heat pump improves the 25% matching it to the radiant system rather than to fan. 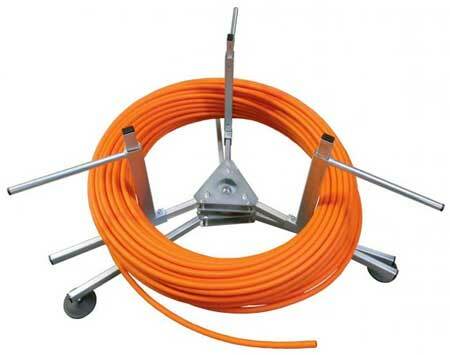 The system components are designed to allow simple installation and rapid and therefore more economic. High-quality components guarantee long life of the plant, no extraordinary maintenance. 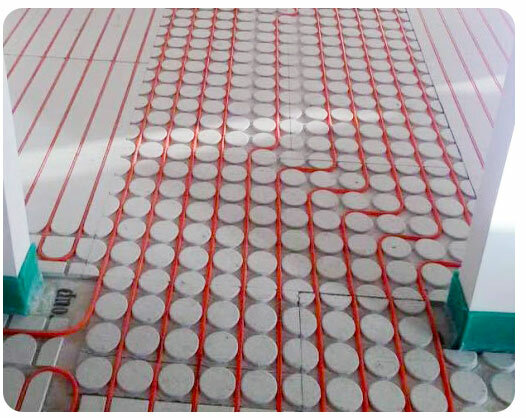 The systems for underfloor heating with water at low temperature (25-40 ° C) and are therefore ideal for integration with heat pumps, condensing boilers, etc., and with any technology that takes advantage of renewable energy sources. The efficiency of the heat pump improves the 25% if combined with a radiant system compared to a system with fan coils, both in heating and cooling modes. 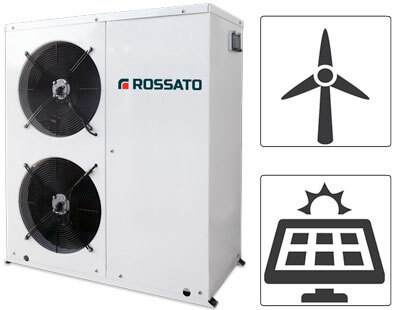 Its radiant systems Rossato Group adds heat pumps Highly efficient and targeted control systems, to propose an integrated plant system, complete and high performance. I Dehumidifiers for radiant systems They have the task of eliminating the excess moisture in the environment, putting the plant in a position to work safely and without condensation. 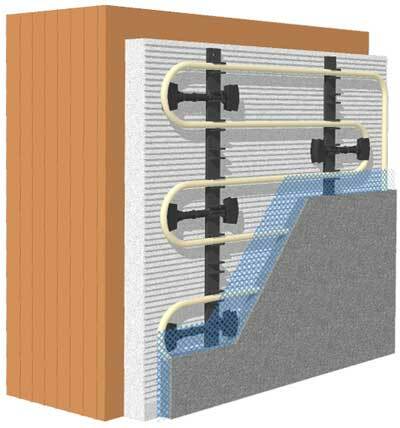 In systems of cooling floorWall or ceiling, humidity control is a necessary condition for a good yield of the system. Dehumidification + radiant system is a safe concept of comfort for both domestic dwellings and industrial facilities. The radiant panels for heating and cooling systems, floor, wall or ceiling, whose pipes are integrated respectively in the screed, plaster or plasterboard ceiling. The water that circulates heats or cools the surface of the panels allowing to heat or cool the whole environment. The spaces are thus free from unsightly heating bodies and can be used with the maximum freedom of furniture. Due to their wide extension radiant panels work with water temperatures lower than the common fan convectors and radiators: in heating water is maintained on average at 30-35 ° C. This entails, as required by law, that the surface temperatures are always lower the body temperature to ensure maximum comfort for the occupants. The heat is transmitted mainly by radiation, in the same way is transferred from the sun to the earth, and is perceived by the human body as a natural and pleasant because it itself continuously exchanges heat by radiation. Moreover, the low temperature difference between the radiating surface and the air causes that do not create annoying air movements which, as it happens for the traditional heating systems, moving dust and causing heat losses. Not less important is the energy aspect: these systems working at low temperature are combined efficiently to heat pumps, condensing boilers and heat each renewable technology. 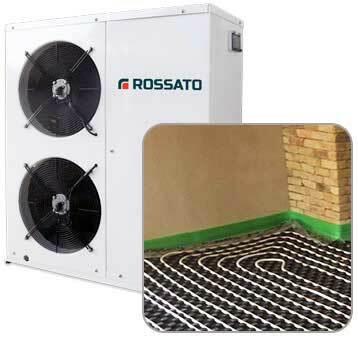 The Rossato radiant systems are managed and controlled by devices for thermoregulation, In this way it is possible to adjust the temperature of each individual environment. 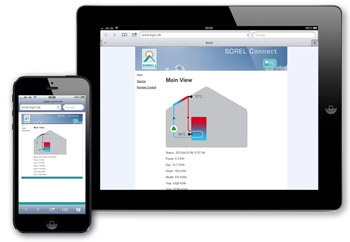 The systems for temperature control can be connected to the network via Ethernet to enable remote management. To ensure fast and simple installation we have available, available in pricelist for radiant systems equipment for the installation of systems suitable for any type of installation: floor, wall or ceiling. In the section documents you can download the radiant floor system manual, wall or ceiling with illustrations and guides for the correct installation. In the video section there footage of installation for the various types of radiant systems.